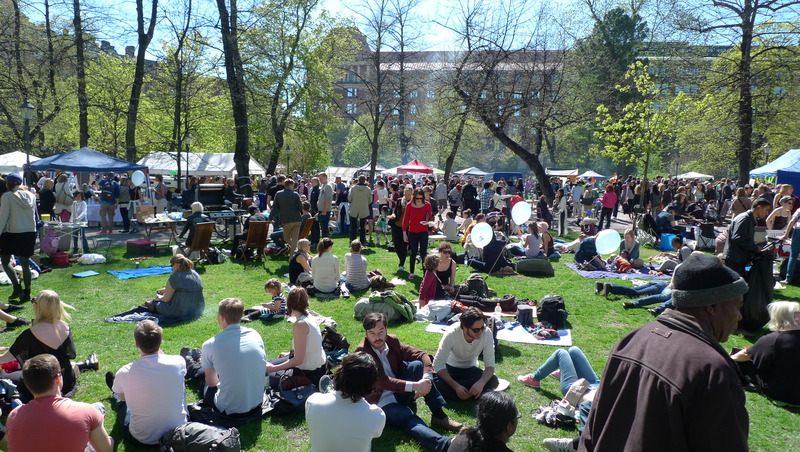 In the spring 2011, a group of young city activists in Helsinki kicked off a creative movement that would take Finland by storm. Our ethnographic study of Restaurant Day, conducted with Diane Martin (RMIT) and Eric Arnould (Aalto University), investigates how the pop-up restaurant carnival would prompt citizens to question who gets to appropriate public spaces, how food culture is stifled by the bureaucratic machine, and what does it mean to drive change through creative participation. We underline the importance of constantly evolving creative expressions and how they contributed to Restaurant Day achieving its collective ends. Consumer movements are resolute and persistent efforts by organized consumer collectives to reimagine elements of consumer culture. Such movements often use creative public performances to promote their causes and to make movement participation more ludic and fun. However, collective creativity within consumer movements has rarely been an explicit focus of research. Using ethnographic methods and assemblage theory, this study elaborates how collective creativity organizes a consumer movement and facilitates its quest for market change. Findings show how the Restaurant Day movement initially emerged as a resistant response to market tensions relating to constraining food culture regulation in a Nordic market context. Findings then illuminate the movement’s appropriation of collective creativity as its chief mode of organization and participation. Collective creativity builds on iterative and co-constituting deterritorializing and territorializing processes of consumer production that fuel transformative and explorative creativity, respectively, within the market context. The study provides new insights to consumer movement mobilization, organization, member recruitment, and market legitimacy. The study also provides novel theoretical insights to the study of consumer creativity.